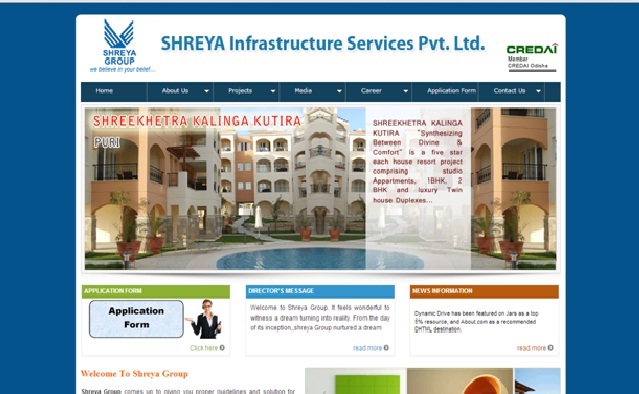 Shreya infra is a certified construction company located in the temple city Bhubaneswar, Odisha. This company provides all types of housing projects with proper documentations and 24x7 customer services. This project is situated at Patrapada, Bhubaneswar, Odisha. This project provides all the modern facilities with very near to top grade institutions. This project is located at Gadia Pokhari, Khurda, Odisha. This project is a distance of 2 km from NH-203, 9 km from Kalpana Chhak, and very near to Krupajal Engineering College. This project provides proper documentations with all modern facilities like Children park, Temple, ATM, and Market complex. This project is located at Puri, Odisha. This project is a distance of 3 km from Jagannath Temple, 5 km from Bus stand and very nearer to Puri sea beach. It provides pollution free environment with 100% litigation free lands with proper documentations.